Before I get into specific fibromyalgia supplements recommendations, I want to offer some important considerations. 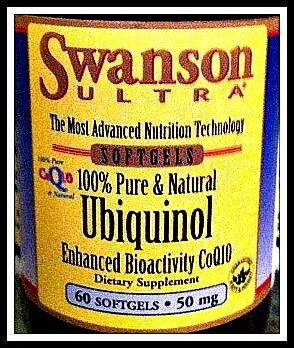 There are many supplements that I recommend on various pages of this website. You probably think no one could afford to buy all of them every month; and, you’re correct, no one including me. Remember that fibromyalgia is a multi- symptom syndrome, and each page generally focuses on different symptoms. Few fibro people encounter all those symptoms at the same time. So, there’s no need to buy all the supplements recommended throughout the website. I suggest you pick your top three symptoms and choose supplements recommended for those symptoms only. Additionally, I use or have used every item that I recommend with myself and/or others over many years. I have used numerous brand name vitamins that had tummy discomfort or other side effects and I will not recommend those even though I realize that they may not affect everyone the same way. Also, believe it or not, I do worry about the cost effectiveness of these items. Many of the supplements I present to you have 3 to 5-times the bioavailability (absorption) of other cheaper, well known brands. This allows you some flexibility in dosing. For example, you might choose to make a 30 capsule bottle last 60 days rather than following the once a day instructions. I’ve had to do that and found it still worked for me. I will say it is better to take the recommended dose for 3-months if at all possible. That way you will find out if the particular supplement is going to help you at all. If it does help, you can try the every other day dose which will probably continue to help, but more slowly and more affordable. It’s never all or nothing with me; I couldn’t afford it. One final note, keep your doctor in the loop about the supplements you are taking. Some supplements can interact with medicines in ways that could harm you. If you are taking prescription medications, you should inform your doctors and pharmacists of any supplements you are taking. I recommend that you list both medications and supplements along with dosage, how often per day, which days of the week for each. Write or print this list and make copies that you can provide your physicians for your records. Be sure to update any changes. Supplements are not controlled by the FDA in the same way that prescription medicines are managed. FDA looks at supplements as “foods”. Therefore no clinical trials are required of the manufacturers. Manufacturers are required to list all active ingredients on their product labels AND to follow FDA manufacturing guidelines. However, supplements do not have to be proven safe or effective. Foods and nutritional supplements cannot be removed from the market by the FDA unless they are proven to be dangerous or to have false label information. Why do we take so many precautions? What’s my point of saying all of this? It is very important that we seek out Brands that are trustworthy and go the extra mile in their manufacturing processes. Two years ago, "USA TODAY series" ran an investigational series on some of the "bad actors" in the supplement business. This included both products and personalities. USA TODAY very likely saved lives (or at a minimum saved livers) by illuminating these products, people, and victims. It simply re-enforces the advice I offered above. One of the dangerous products they identified was a pre workout supplement, "Craze", that had been selected as "Product of the Year" and was being sold by big name stores like GNC and Walmart. What we must recognize is that unless the FDA brings an action against a product or manufacturer, these reputable stores have no way of knowing that the product is unsafe. This is why I advocate brands like Life Extension and a few others that I trust AND supplements that I have experience with and believe they help mitigate fibro symptoms. Without additional FDA oversight, none of us can guarantee any particular supplement; however, I have done all I can to look into various brands, their policies, their research, their testing for safety and efficacy, and the ingredients of their products. Also, all the fibromyalgia supplements and brands I show here on this fibromyalgia supplements page as well as other pages of this website are ones I use with myself and clients as well, otherwise I would not recommend them. However, there are other trustworthy brands; trust, but verify by doing your own research. Please don’t let the lowest price-point be your only criteria. Like many of you, I don’t have unlimited resources to spend on fibromyalgia supplements. If you continue reading this page, you’ll see my method of dealing with this very real "affordability" issue. USA TODAY won two healthcare journalism awards for their series "Supplement Shell Game". It is well worth reading and you can find it at this link, USA TODAY. Remember that if you are eating a healthy diet, you are getting most of the nutrients you require. Taking additional or extra vitamins with a “more is better” attitude can be detrimental. In 2008 there were more than 69,000 cases of toxicity due to vitamin overdose reported in the U.S.A.
For example, taking more than 7.5mg per day of vitamin A can cause headaches, dry skin, irritability, osteoporosis, and lack of oxygen to the tissues. This last item is something our fibro bodies already suffer. This harmful dose is available over the counter in many places. Another example: A trial looking at using selenium to prevent prostate, lung, or colon cancer had to be terminated because patients taking a large dose had a higher recurrence rate than those not taking the supplement. Whether it’s fibromyalgia supplements or a prescription medication, I believe in the Lowest Effective Dose (LED). In general I avoid taking drugs for many reasons, but because of the critical nature of sleeping with the body clock, I've occasionally had to take a prescription sleep aid. Also, the form of certain vitamins, namely B-vitamins is especially important. The multi-vitamin we recommend now comes with the safer form Folate and Methyl B-12. Fibromyalgia supplements support the fibro body, and although they are not cures for 'all that ails us', when we find the right support for our individual bodies, that can make a big difference. I've been at this for many years and through much trial and error with myself and with clients, I use that experience to support others. Too often people with chronic illness become vulnerable to all the so called cures, Rx's, and information overload. Makes you want to throw your arms up in the air, and say maybe that drug and all its side effects aren't THAT bad because you're just tired of trying to figure out how to get out of pain, reduce symptoms, etc. Yet the body is intelligent and what it really wants are the materials that it truly needs to survive and thrive as intended. One way to achieve this is with fibromyalgia supplements. In the following I embolden the word "essential" only when I truly feel a particular supplement is required to control fibro symptoms. Be sure to consult with your doctor or naturopath when adding new fibromyalgia supplements. additive-free multi-vitamin. NO fillers, binders, colors, preservatives, gluten, milk, soy, flowing agents or anything else you find in most other multi-vitamins on the market. Nothing compares. AND, it now has the safer forms of B-vitamins (Folate and Methyl B-12). 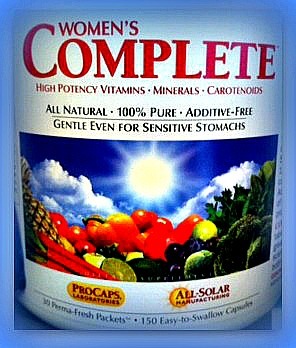 It is a foundational fibromyalgia supplement. Small, easy to swallow capsules that come in purple convenient packets of five capsules that you can take with you or use as you like. Remember what I say about making your nutrients more cost effective? Take the full five capsules or less to make it more cost effective by taking 2-3 each day. Manufactured in the worlds only 100% solar powered facility. Available in both women's and men's formulas. I believe in rotating supplements for fibromyalgia just like certain foods. This allows the fibromyalgia supplements, just like the food we eat, to work better. So when I find something that works to support my body, I use it but I do not depend on that alone. Of course our fibromyalgia supplements have to address viral and immune issues which drain energy reserves through overworking the adrenals. Then along with a diet that avoids allergens such as wheat, rice protein, dairy protein and individual allergens, I promote a few extra fibromyalgia supplements such as Alpha Lipoic Acid, Antioxidants, and Amino acids. For example, when dealing with inflammation factors, I might take Mangosteen extract (not juice) for a number of days or weeks, and then I rotate to using Life Extension's 5-Lox Inhibitor, which is another excellent natural anti-inflammatory supplement for fibromyalgia. When it comes to strength and energy, it’s all about the mitochondria (the powerhouse of our cells). I can support you in building better mitochondria. That is really what I focus on in the beginning with clients. I often repeat the phrase: "Get Up, Suit Up, Show Up, and Just Do It". However, without strong mitochondria, it’s hard to get going, stay going and strengthen the body. The metabolism will also suffer. And yet, what do I always say, "We can spend the rest of our lives RE-conditioning our bodies, OR we can spend the rest of our lives DE-conditioning ". So we have to know HOW to gather and balance energy. Amino acids have been useful in many cases as a supplement for fibromyalgia and metabolic dysfunction; however, when using Amino acids, its best to consult with a doctor or naturopath to discuss the dosages that will be right for you individually. Some examples I rely on: Glutamine is great for muscle and gut health, Glycine supports liver, brain and nervous system. Branch Chain Amino Acids (BCAA's) are helpful before exercise. It is a precursor to glutathione and also an amino acid (see dosage note above). It is essential for those with lowered immune status, those with auto immune illness, cancer and/or anyone who is exposed to electromagnetic fields through constant use of devices such as computers, cell phones, etc. It can reduce stress on the body and contribute to greater feelings of well-being. Note: Check with doctor/naturopath if you have a history of renal issues or stones. 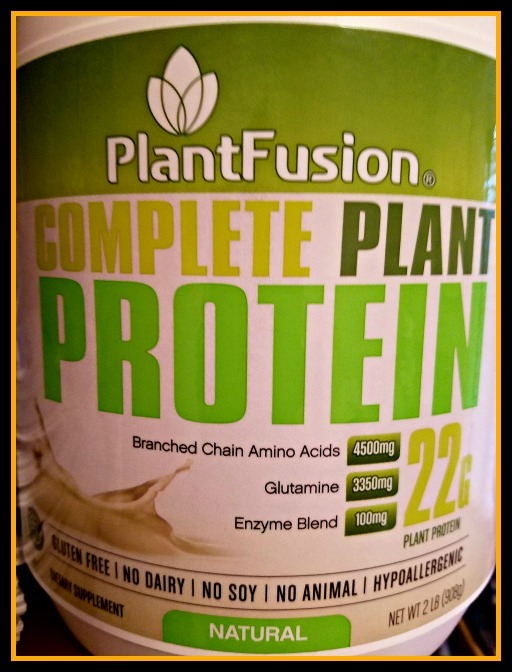 So, if you are going to buy protein powder, I recommend you support your metabolism and endocrine system today with Original Plantfusion, like many others who continue to praise this healthy protein source. With BCAA's and Glutamine, PlantFusion supports a healthy gut and balanced energy. It's definitely an essential fibromyalgia supplement. Grain free Sun Warrior Protein (available at Amazon)is another fine choice with no common allergens or grains . The Fibro Body also needs an easy to assimilate, non-allergen form of protein. "PlantFusion" works great to feed muscle, repair leaky gut and sustain energy. This protein powder eliminates allergens including whey, soy, gluten, casein AND rice. Be sure to obtain the ORIGINAL version which is free of rice protein. ORIGINAL Plantfusion comes in flavors or unflavored. I recommend mixing in a high powered blender with organic additions like greens, flax meal, green apple, berries, coconut oil and any other heal-thy ingredients compatible with YOUR body. Before Original "PlantFusion", there was no safe protein powder I could recommend to my clients or use myself as a fibromyalgia supplement. I simply support it because it IS an ESSENTIAL tool in a healthy diet and in my fibro-fitness protocol. In a 5-year study that is currently on-going several thousand healthy men and women are taking VITAMIN D and/or fish oil supplements. They are being examined at regular intervals to determine the benefits for preventing cancer and cardiovascular disease. The study is also looking at whether these supplements affect diabetes, high blood pressure, cognitive problems, osteoporosis, mood disorders, infections, and autoimmune disorders. Hopefully, this study will resolve the back-and-forth between the Alternative Medicine community and the scientists who have not yet reached a conclusion regarding the effectiveness of vitamin D or fish oil in preventing and fighting these diseases. We'll keep you updated. In a cardiovascular study in the '90s blood samples were taken from over 1500 adults 65+ years old. In the follow up 6-years later they evaluated this sample population for health conditions, including Alzheimer's disease. At a later time, a nutrition study evaluated the blood samples for Vitamin D. Earlier in 2014, a group of British researchers used the results of both of the previous studies to show the connection, if any, between Vitamin D and dementia (including Alzheimer's). The results showed that low levels of Vitamin D led to an over 50% increased risk of dementia and an almost 70% increase in the risk for Alzheimer's. Further, where there was severe deficiency of Vitamin D, the risk of Alzheimer's more than doubled. 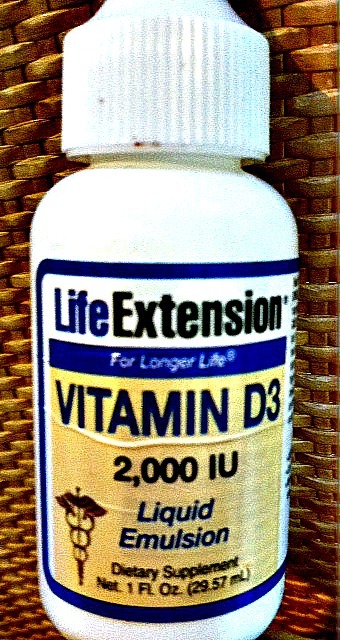 The obvious next step for researchers is to determine if Vitamin D can prevent the disease. Stay tuned. Again, I will update you on the major, generalized 5-year study when results are published. great combination of nutrients for autoimmune disorders. Both are essential fibromyalgia supplements. 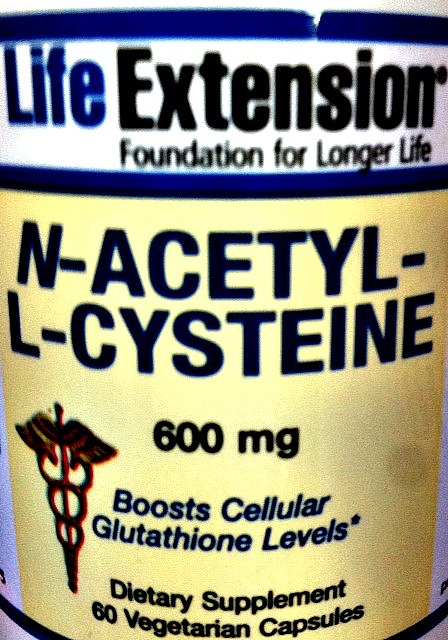 Provides anti inflammation, immune support and bone health . The health benefits of CLO are many. It is beneficial to the nervous and immune system. 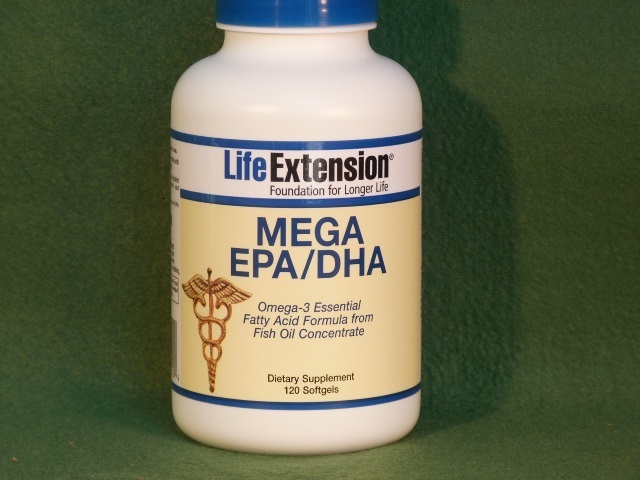 It improves brain function, reduces arthritis, blood pressure, cortisol and inflammation. 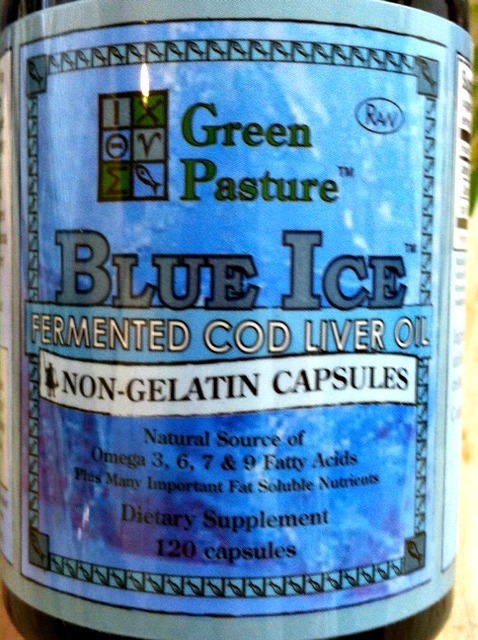 With naturally occurring vitamin A and vitamin D, Green Pasture fermented cod liver oil is superior as there is absolutely nothing added and its' purity is THE best. Magnesium (available at Amazon) is an essential fibromyalgia supplement for the Fibro body. Just be sure to get it in an absorbable form, such as this one, to lessen the tendency for GI issues and to increase bio-availability. From the nervous system to muscle health, we need a healthy supply of magnesium. 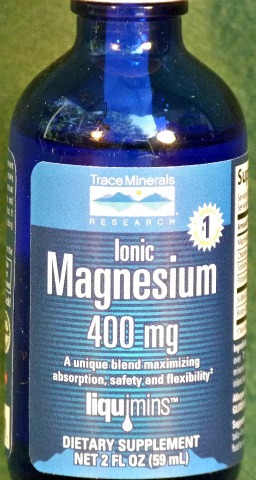 Another good addition to magnesium is malic acid to also increase ATP and energy within the body. 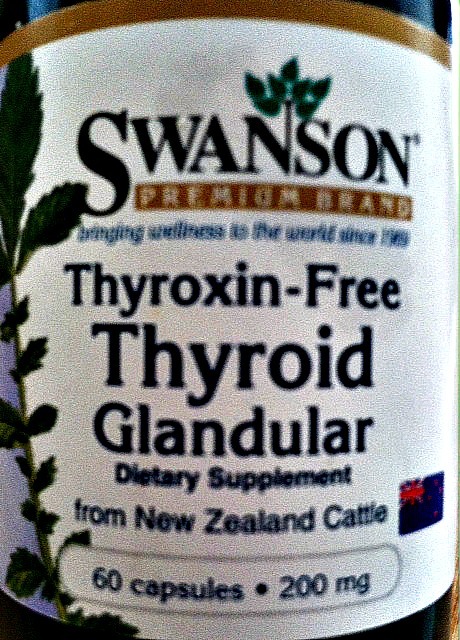 Thyroxin-free thyroid glandular, for those who may not be tolerating even the most natural thyroid hormone. Glandulars can be a safe and effective way to supplement thyroid and adrenals that may be compromised by chronic illness. On Valentines Day I am reminded of chocolate and red berries. And what's better than the PURE extract of the organic goji berry ? Genesis Today brand is the finest goji extract available !! Everyone loves the taste AND the antioxidant benefits. The Organic Greens powder is free of allergens and makes another great addition to any healthy diet. 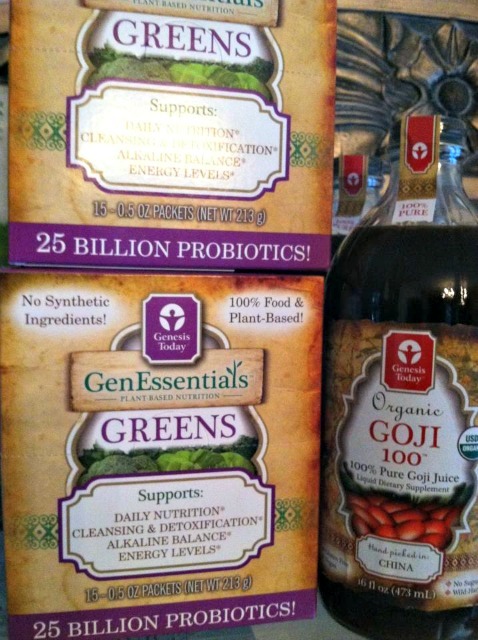 TWO healthy products to increase your health account value naturally !! 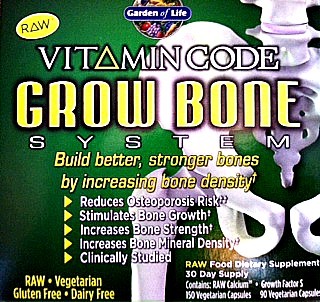 Gluten free Grow Bone system by Garden Of Life, not your average calcium. This is RAW food Calcium, not rock, chalk, etc. This excellent raw, additive-free supplement contains 756 mg. raw calcium, and 386 mg. raw magnesium with excellent absorption. I have been using and promoting this for myself and for anyone, especially those with low bone density and any Osteo issues. See my page on Raw Calcium and Vitamin K for important information. Make your fibro recovery a "high priority"
If you are on disability, insist that a portion goes to support your recovery before turning over the rest to the "family budget"
Purchase fibromyalgia supplements that have good absorption characteristics so you can take a reduced dose by skipping days or taking a lesser amount daily; this requires more effort, but is doable. All my recommendations on this page meet this requirement. Follow my Fibromyalgia Diet and Blending and Juicing and Recipes recommendations. You will get many of the nutrients you require through healthy eating. By the way, if you are considering the guaifenesin protocol, you should read my take on this treatment here.